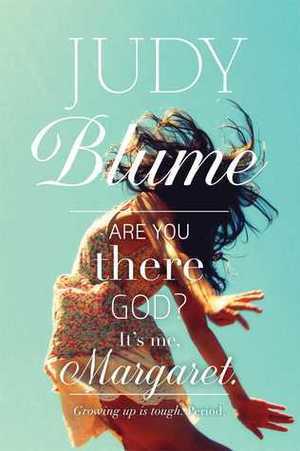 Margaret shares her secrets and her spirituality in this iconic Judy Blume novel, beloved by millions, that now has a fresh new look.Margaret Simon, almost twelve, likes long hair, tuna fish, the smell of rain, and things that are pink. She’s just moved from New York City to Farbook, New Jersey, and is anxious to fit in with her new friends—Nancy, Gretchen, and Janie. When they form a secret club to talk about private subjects like boys, bras, and getting their first periods, Margaret is happy to belong. But none of them can believe Margaret doesn’t have religion, and that she isn’t going to the Y or the Jewish Community Center. What they don’t know is Margaret has her own very special relationship with God. She can talk to God about everything—family, friends, even Moose Freed, her secret crush. Margaret is funny and real, and her thoughts and feelings are oh-so-relatable—you’ll feel like she’s talking right to you, sharing her secrets with a friend.